The Absolute Best Margarita in New YorkPass the guacamole. 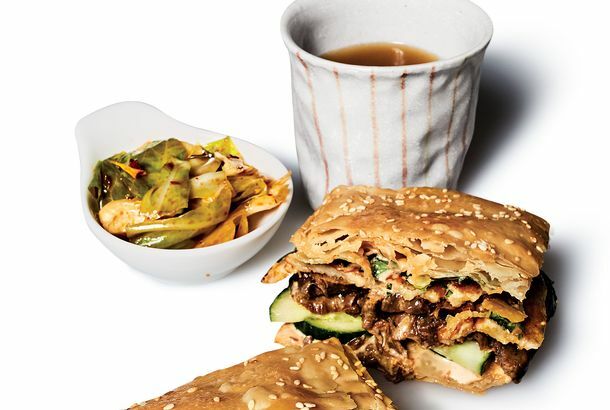 The Absolute Best 24-Hour Restaurants in New YorkThese are the best 24-hour restaurants, for noodle-slurping, tabletop-grilling, and people-watching. 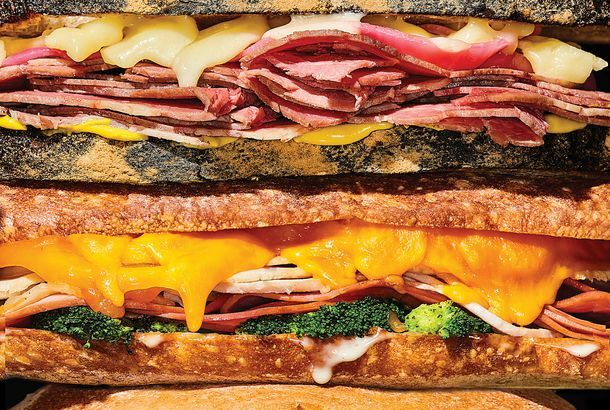 The Absolute Best Lower East Side RestaurantsFrom cutting-edge vegetarian to world-famous pastrami. The Absolute Best Places for a First DateNot too obvious, not too trendy, where you can meet quickly or linger as long as you’d like. A New East Village Bar Evokes New England’s Seaside DivesThe Lost Lady is an unpretentious sister to the Wayland. 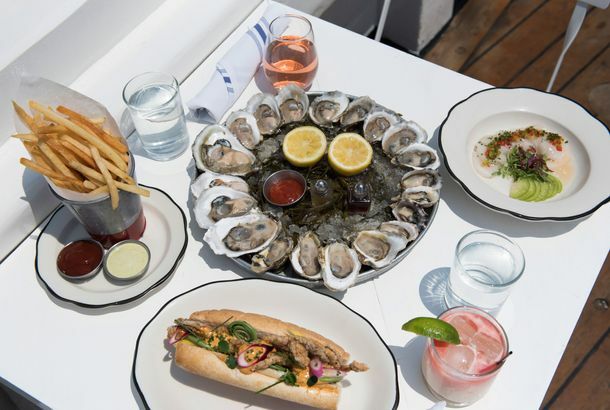 The Absolute Best Waterfront Restaurants in New YorkThe best waterfront dining in New York, from laid-back burger spots to upscale, jackets-required fine dining. 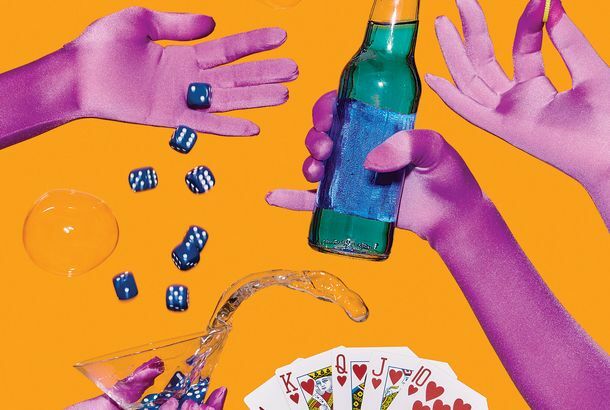 19 New Bars for Every Type of Drinker, Opening This FallIncluding Staten Island oenophiles, ’90s-Knicks fans, and dogs. The Absolute Best Restaurants in the RockawaysThe best vendors, restaurants, and concession stands on the Rockaway peninsula. The Absolute Best Diner in New YorkHere, a group of truly great, mostly old-school, worth-going-out-of-your-way diners. 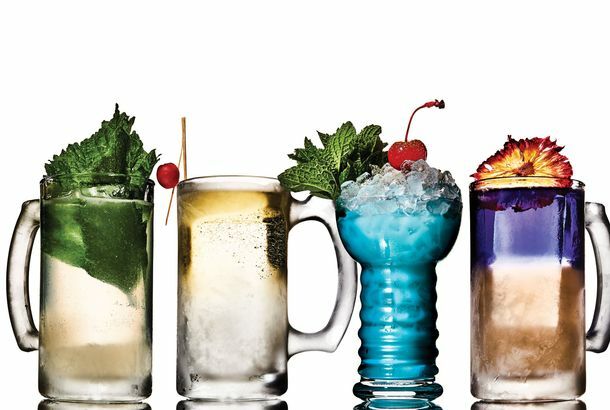 The Absolute Best Frozen Drink in New YorkA ranked list of the best boozy frozen drinks to cool you down this summer, preferably in a bar backyard or on a beach-bar patio. 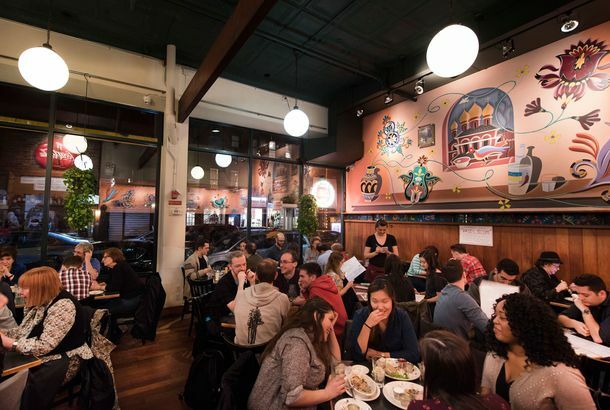 The Absolute Best All-You-Can-Eat Restaurants in New YorkSome of our favorites, where you won’t be judged — and often you’ll be encouraged — for getting that third or fourth plate. 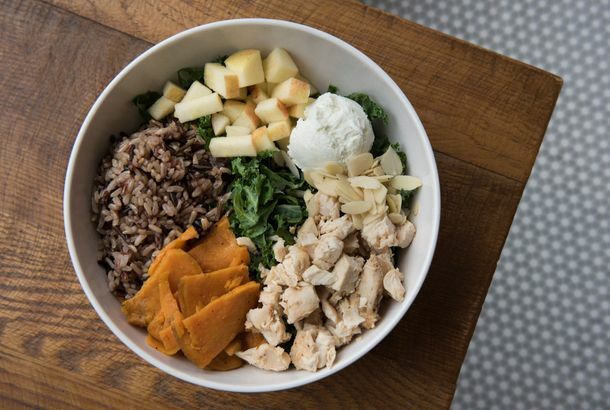 The Absolute Best Salad Bars in New YorkWhere to go for the freshest, most inventive salads to pep up your desk lunch. 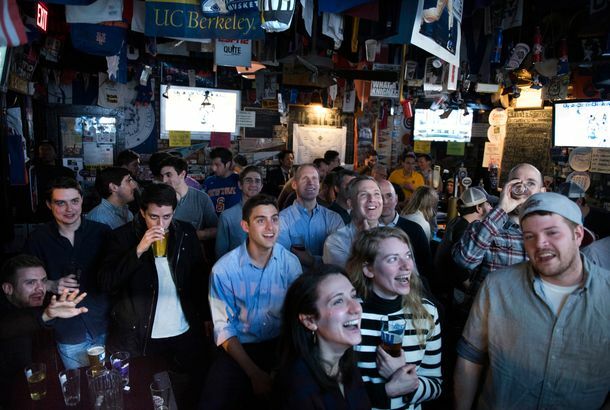 The Absolute Best Sports Bars in New YorkWith good drinks, solid food, and a notable lack of bro culture, these are the places to go when you want to watch the game. 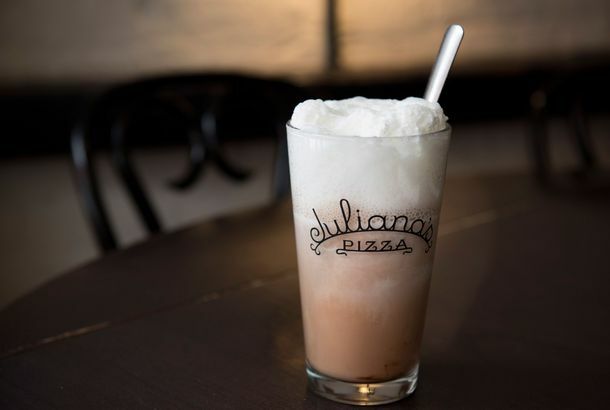 The Absolute Best Egg Cream in New YorkWhere to find the homegrown soda-fountain hero made with seltzer, milk, and chocolate syrup, which purists say must be Brooklyn-made Fox’s U-bet. The Absolute Best Happy Hour in New YorkWhere to drink cheap after the workday. 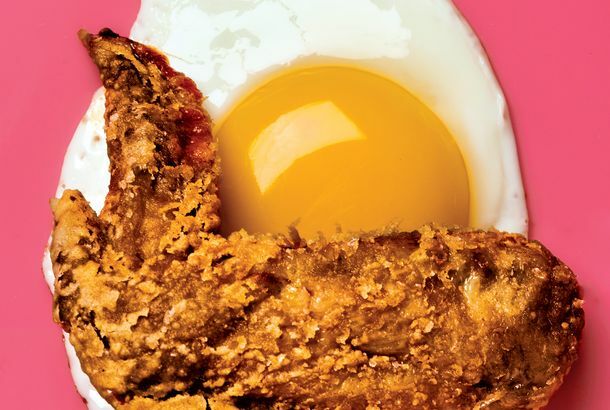 The Absolute Best Southern Restaurant in New YorkThe southern-food specialists for rich biscuits and gravy, crispy fried chicken, and tangy collard greens. 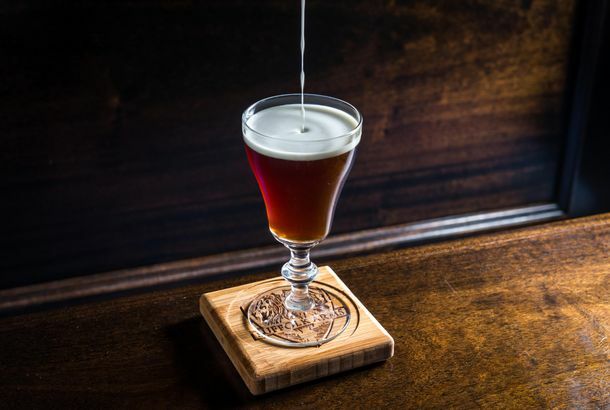 The Absolute Best Hot Cocktail in New YorkWhere to find the best buttered rum, hot toddy, and whiskey-spiked nightcap. 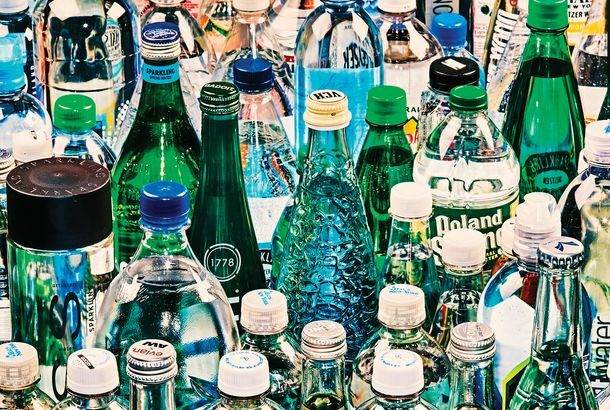 The Everything Guide to Bottled WaterAssessing the latest options in the H20 aisle — alkaline, boxed, Ice Age–era. Plus: A tasting with Adam Platt. The Absolute Best Pub in New YorkTwenty-five excellent, unpretentious neighborhood watering holes you’ll wish were in your own neighborhood. 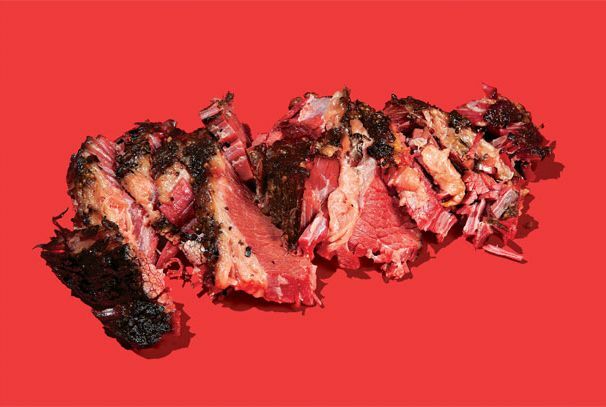 The Absolute Best Barbecue Brisket in New YorkWhere to find the best brisket, from smoky slabs to burnt ends. 62 Ways to Upgrade Your Desk LunchYou could try a spaghetti sandwich, for instance. 14 New Bars and Nightlife Spots Opening This FallCuban cocktail bars, subterranean skeeball lounges, boozy movie theaters, and more. Where to Find the Best Poke in New YorkThe Hawaiian raw-fish salad is our newest bowl food. 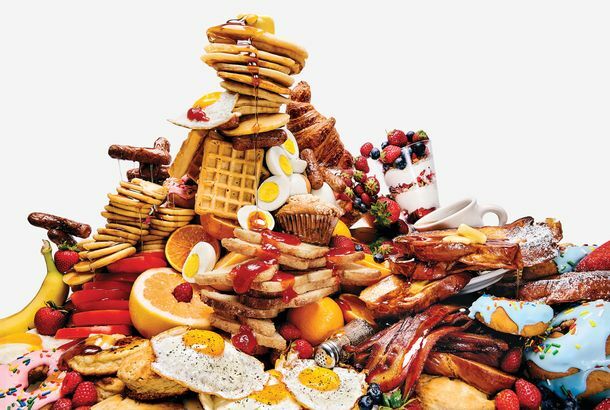 5 Cheap All-You-Can-Eat Feasts for the Budget GluttonWhere to find bottomless brunches, unlimited sushi, and more. The Absolute Best Classic Bar in New YorkWhere to go when you truly want to feel transported to a different, possibly more romantic era. The Absolute Best Bar in the Theater DistrictThere really are excellent bars within a ten-minute walk of the major houses — these are the five best. 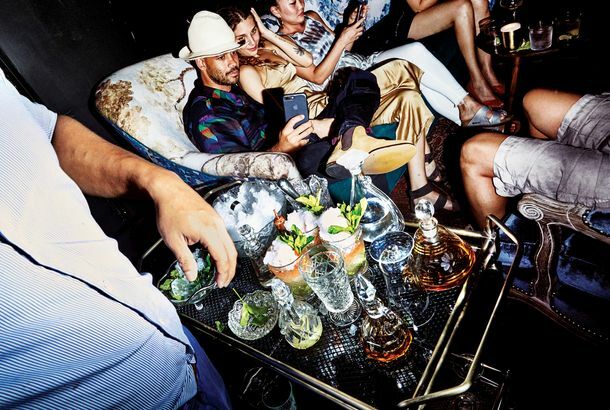 The Absolute Best Last-Minute Birthday Bar in New YorkSix great spots for spontaneous revelry. The Absolute Best Bars Featuring Live Music in New YorkThese are the spots that don’t charge a cover, but nevertheless offer a great way to listen to some saxophone or banjo while you sip your drinks. The Absolute Best Barbecue in New YorkSaucy ribs, fall-apart-soft brisket, and all the traditional accompaniments. 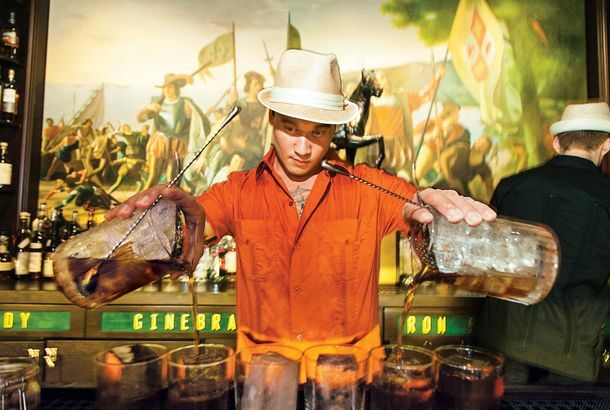 The Absolute Best Bar in the East VillageThe neighborhood still has New York’s most vibrant nightlife scene, and these are the six most charming bars in the area. The Absolute Best Karaoke Bar in New YorkWhere to go when you need to pour your heart out into the microphone. 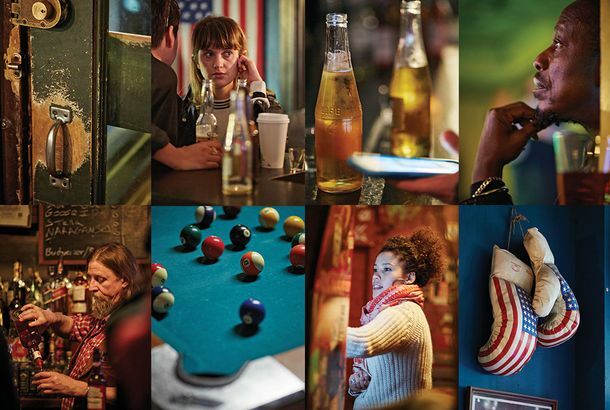 What It’s Like to Visit 150 Dive Bars in 90 DaysAfter so many bars — and about a zillion tallboys — later, the author’s romanticism for dives has only been heightened. The 50 Best Dive Bars in New YorkA (possibly controversial) ranking of the city’s dingiest, gnarliest, most glorious bars. 10 Fish Species You Can Eat With a Clean ConscienceYour New Year’s resolution is to eat more fish, but which ones? 27 Unique, Only in New York Ideas for Your Next PartyFrom ice-skating and grilled cheese in Prospect Park to a sit-down catered dinner in the Strand’s rare-book room. 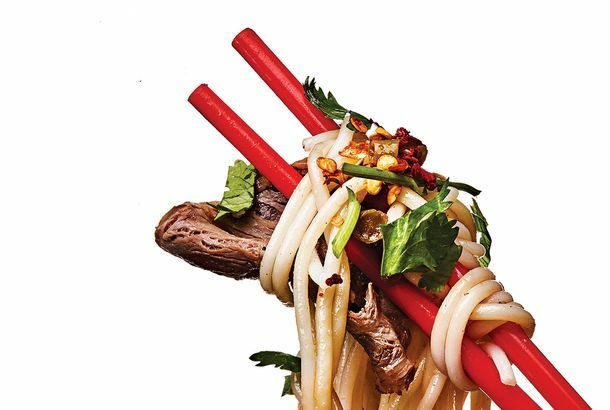 The Dish: Chiang Mai Restaurant’s Jin Som MokYou’d be hard-pressed to find jin som mok anywhere else in the city. Lorenzo’s Is Bushwick’s New Spot for Tropical Slushies andIt’s from the duo behind Nolita’s popular Mother’s Ruin. The Best $25-and-Under Feasts at New York’s Newest Food CourtsBudget eating at City Kitchen, Hudson Eats, Vendy Plaza, and more. Sweet Trip: 4 Chocolate Factories Offering Tours and ClassesUnlike sausage, you want to watch it be made.